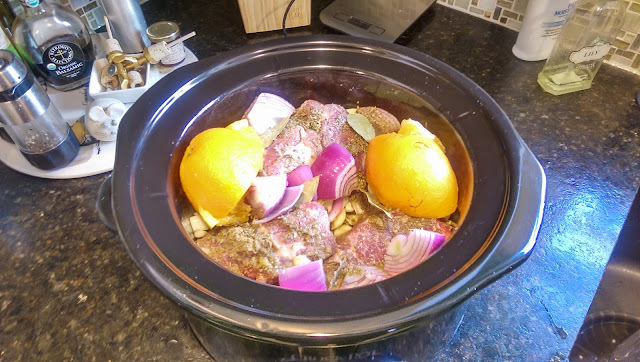 This crock pot is filled with pork shoulder, spices, onion, lime juice and a squeezed orange, and then the orange is thrown in to boot. Eight hours later the meat was shredded and broiled to a crisp, then put on tortillas with guacamole, sour cream and cheese. Shortly after that, I was in the most pleasant food coma.